How many ideas do you have? How many multi-million dollar ideas do you have sitting in your head, spoken to a friend about, planned to do…but in the end did nothing so they just sit there waiting for you to make them happen? I’ve got plenty myself. Tons of ideas on which I’ve NEVER taken any action and some on which I’ve taken only partial action. I can tell you from experience that unless you put full intention behind those ideas they will NEVER fully come to fruition. Oh sure you can take some steps to making them happen, write down some goals, talk with friends have “meetings” but how many of those goals turn into reality? 8. the person or thing meant to benefit from a prayer or religious offering. All great definitions and each of them can be used in some way toward the purpose of this essay but let’s look at definitions 1 and 2 for now. Definition 5 although not necessarily applicable to this essay has an interesting twist to it “a manner or process of healing.” This definition applies to medical terminology but if you think about it, bringing about a certain resolution to your intentions is, in a way, healing. Resolution always has a calming effect. No matter what the intended result was/is, coming to the final ultimate goal is, in many ways, healing. Why healing? You have achieved your intended target. You have fulfilled your intention. Whether this be in business, relationships, health, weight loss, or personal growth finish what you’ve started. (OK here’s an example to which we can all relate…Taxes). 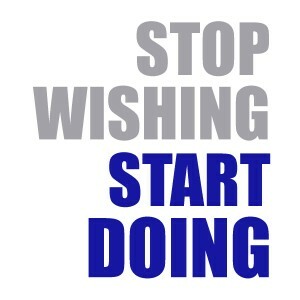 We all hate doing them but when we put our full intention behind it, take the action and DO them. We feel great when it’s all done. Same can be said for things that we love and choose to focus on as our goals. Pull out that old painting you started three years ago, keep working on that novel you have sitting on your computer or take the steps to take that multi-million dollar idea to the market place. It’s all about intention and action. It IS possible and think how good you will feel when you finish something you actually WANTED to do! My lesson from intention is this: I now look at what I want in my life. I choose the things that make me happy, the things that I would like to see in my future, I plan the steps necessary to make this a reality and then I work and take action, with INTENTION to bring that concept to fruition. Finish what you start. If it’s something you want, go for it. Plan it out, work toward it and take the necessary actions so that your dream, your goal, your passion becomes a reality.